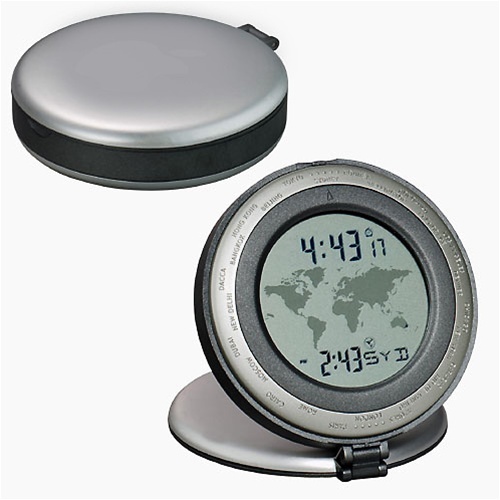 Super deal for any international traveler with a laptop or netbook. Here’s a great closeout buy available in a very limited quantity. It’s a value of over $50. 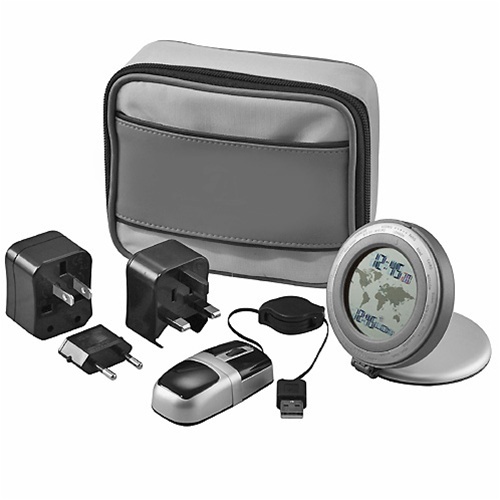 The World Travel Technology Set is a great addition for anyone carrying a laptop or netbook on an international trip. 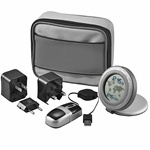 Includes a world time travel alarm clock, universal power plug adapter set (computers and 110/220 small appliances don’t usually need a power converter, just an adaptor), convenient mini-size mouse and a compact soft case to keep it all together. Soft vinyl zipper carrying case - measures H 4.5" x W 1.5" x L 5.75"